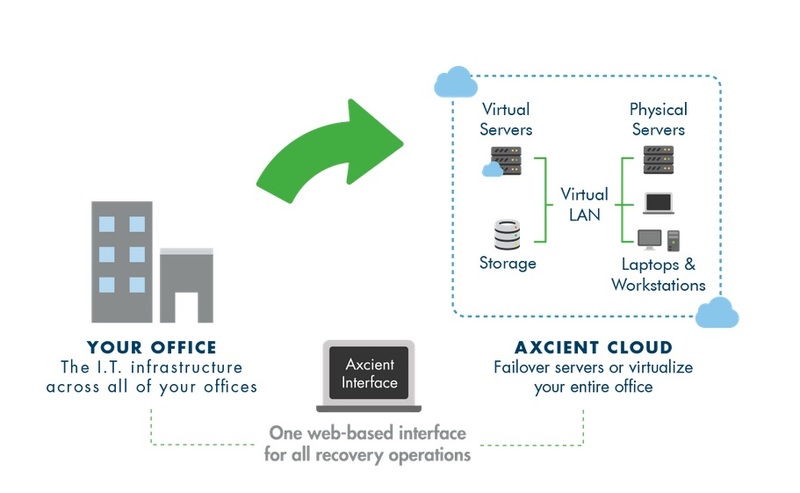 Safeguard not only your critical data, but also your applications and all systems in your IT environment with Axcient’s backup and disaster recovery solution. In today’s world having a disaster recovery plan in place can be the difference between a business with a bright future and one that closes shop. Net Inc works with organizations of all sizes when it comes to disaster recovery and provides technology to ensure businesses continue to operate with minimal interruption. Disaster recovery solutions for both physical and virtual environments ensure critical data, applications, and complete systems are protected. No matter what. Net Inc reduces the complexity of managing servers and storage platforms, reduces the costs of building and managing the disaster recovery infrastructure, and provides a single console to recover from in the event of a disaster. Say goodbye to expensive backup and disaster recovery software, de-duplication hardware, applications plug-ins, and cloud backup services. Create a fully de-duplicated mirror of your business locally and in the cloud so that you can easily access and recover files, folders, applications, servers—and even your entire office—with 1 click. Whether you have custom applications that your business relies on, or SQL or Exchange servers, Axcient has you covered. Hello, peace of mind. Want to learn more about how our Backup and Disaster Recovery Solution works? We hope the time never comes but if it does, we’ve got you! Our security solutions and certified experts are rock solid. Contact us to get started.